Super Star Rajinikanth’s 2.O is in theatres now. The movie released worldwide in almost 6500 screens. 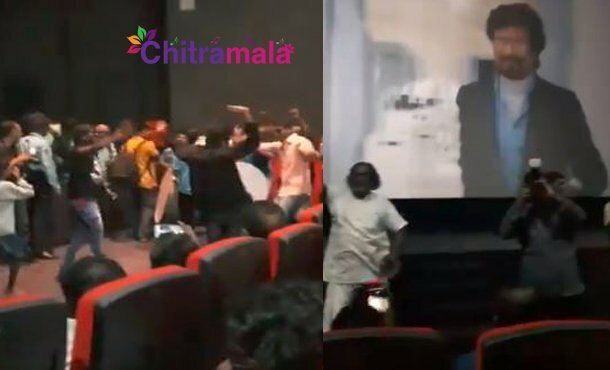 The fans all over the world celebrated the film’s release in style but at one place, the screening was halted by the fans as they wanted the theatre management to put a pause at the introduction scene to celebrate Superstar’s entry in the movie. The fans requested to stop the scene and the theatre management too obliged for the same. Rajinikanth fans then began the celebrations and enjoyed it without any interruption. The fans shared the same video on Twitter. The film was received well in all the areas that it released.